OLD PARKED CARS. 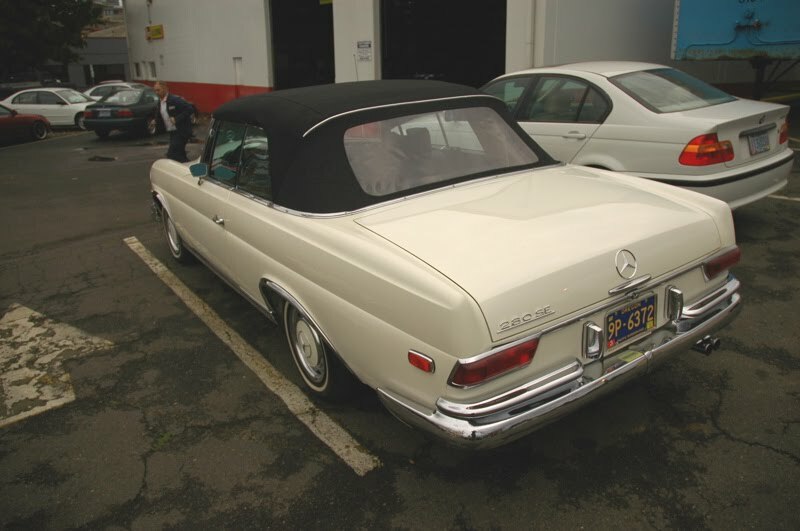 : 1968 Mercedes-Benz 280 SE Convertible. 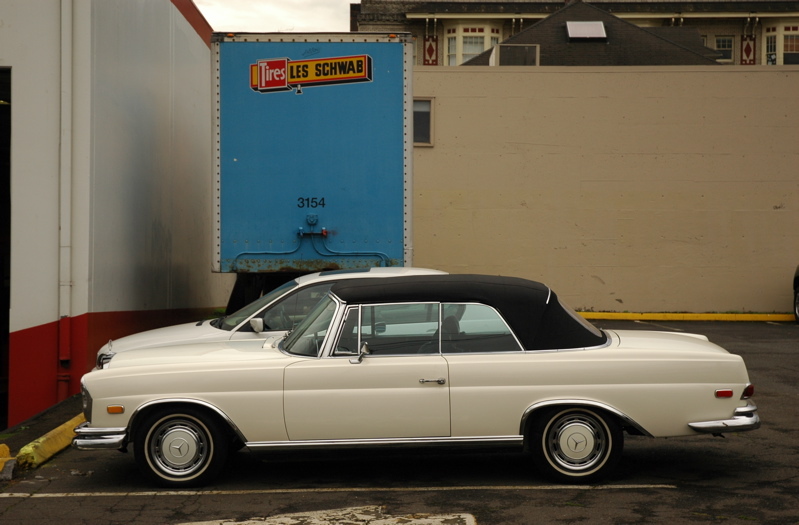 1968 Mercedes-Benz 280 SE Convertible. What a beautiful car this is! 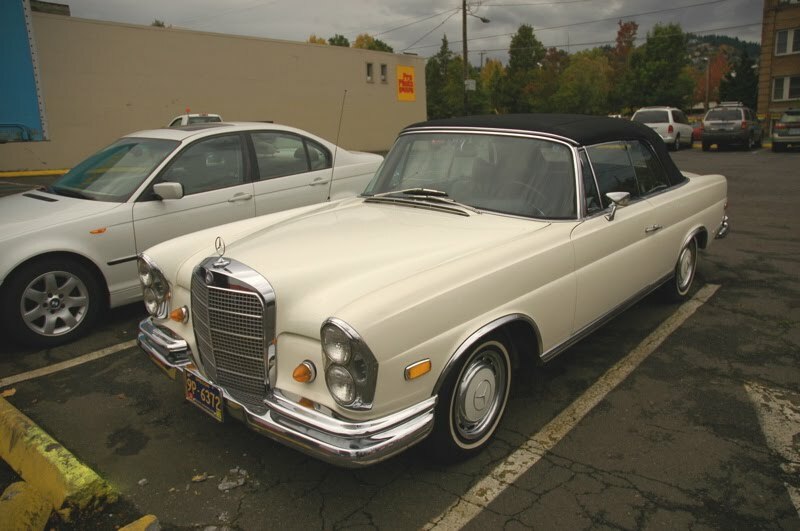 My brothers and I inherit from our father a 280 SE Coupe from the same year; but now is in such bad state that I ashamed to show it. As far as I know, this one is the last "hand finished" car Mercedes Benz build. Same place you found the Dino. Everyone knows the stephen foreman@innovatecar he is very popular person by his work of car caring and detailing of every car. 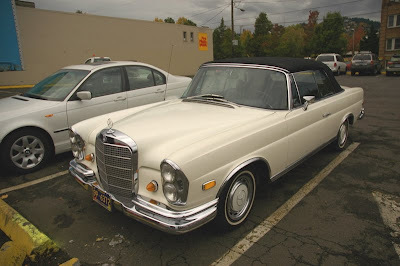 Many people bring their new cars to the Stephan for taking the best advice for its caring and detailing, this men always treat their Clint as a friend and suggest them the right and perfect suggestion for their car.